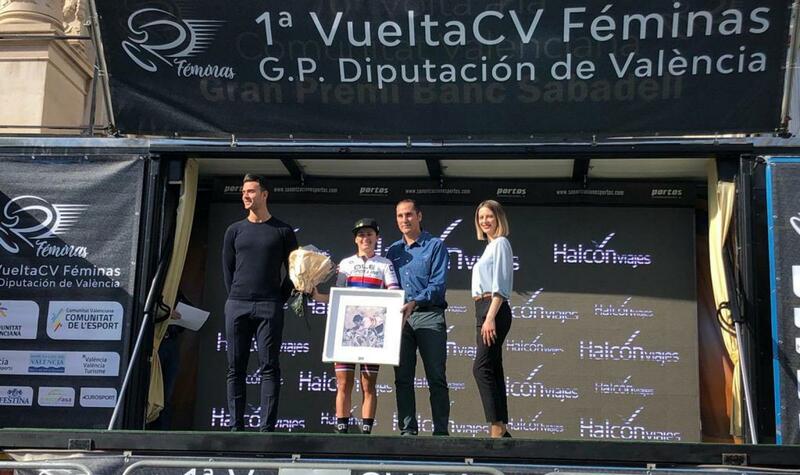 The Team Alé - Cipollini has taken part this morning at the firts edition of the Spanish one-day race (88.3 kms between Paterna and Valencia), where Anna Trevisi finished with a brilliant 5th place and the Serbian Champion Jelena Eric won the intermediate sprints Jersey. It is one of the best results of the career for the athlete from Reggiolo (Reggio Emilia), close to the podium composed by Lotte Kopecky, Alice Barnes and Thi That Nguyen. The Team Alé - Cipollini is very satisfied and it has four athletes in the Top 20: with Anna Trevisi 5th, Jelena Eric finished 17th, Karlijn Swinkels 18th and Soraya Paladin 19th. It is an awesome result, congrats to the athletes” says the Team Manager Fortunato Lacquaniti.